Is there a more graceful sight than that of a bird standing majestically on its branch? We would have a strong predilection in favour of no, and if you share this opinion then why not decorate your wall with a fantastic art decal showing it? 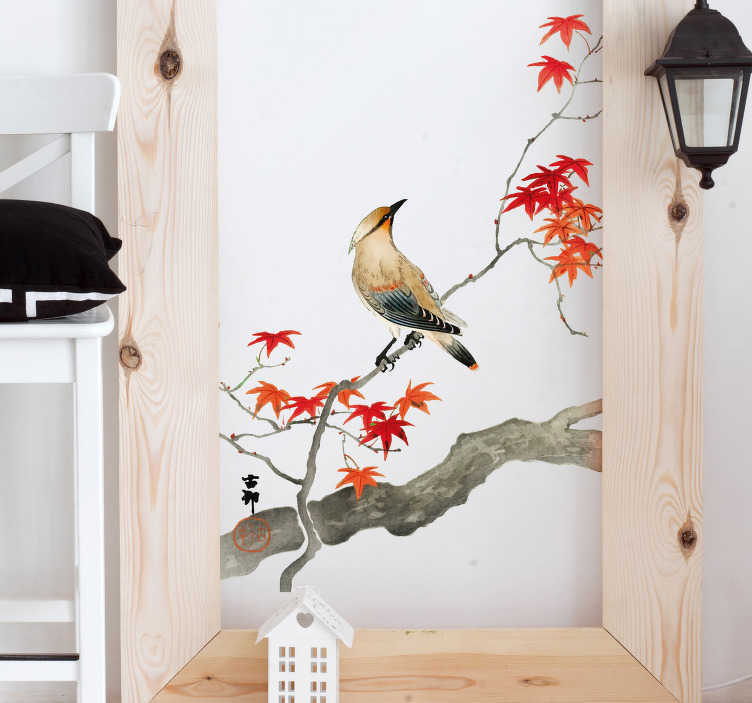 Depicts a bird perched on a Japanese Maple Tree, making this home wall sticker perfect for your home!